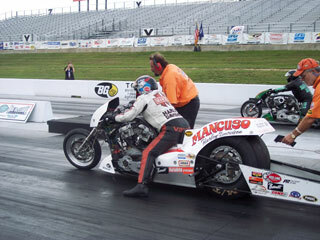 Check out the following article originally published by Cycledrag.com prior to the 2007 season. We stumbled on this right after the 2018 NHRA U.S. Nationals and found it pretty cool that the players all the same. 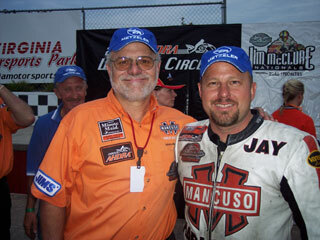 Back then the top three were Mike Romine, Doug Vancil and Jay Turner. At the 2018 U.S. Nationals it was Romine and Vancil vs. Turner and his teammate Tii Tharpe. Below you can read what these greats were up to a decade ago. 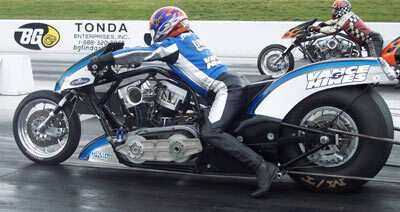 Romine is in the process of building a new bike that he hopes to debut by the third race of the season in St. Louis, April 28th-29th. 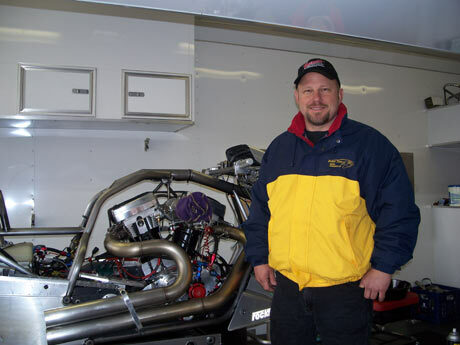 Turner enjoyed a strong late-season charge in 2006, including a double-win in Top Fuel and Pro Fuel at the Jim McClure Nationals in October. Turner hopes to start 2007 just as successful as he ended 2006. 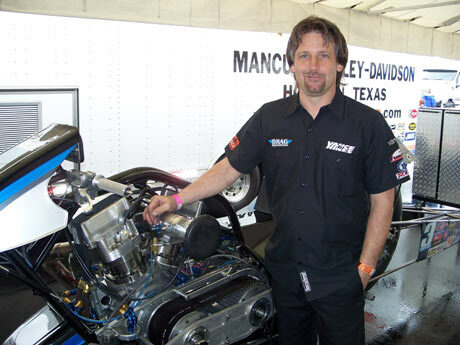 Vancil is excited about his new beefier 196 cubic inch motor. 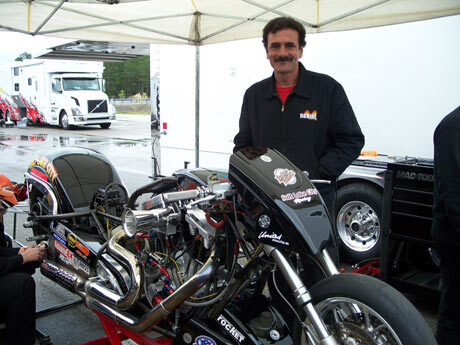 The power plant is 37 cubes larger than the 159 cubic inch motor he started last season with. 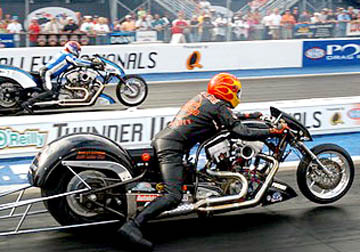 Ray Price and Doug Vancil at an AHDRA race in Virginia in 2006.